The inaugural edition of the Winning & Musing finds us close to one of the saddest times of the year…the end of another football season. First let me congratulate the Auburn Tigers on winning the NCAA National Championship. I have my opinions on why and how college football should have a playoff, but for now we are stuck with the BCS and I must admit that once again it worked about as well as it can. Did undefeated TCU get the shaft?? Probably. Could Stanford and Wisconsin have come out on top if given the opportunity?? Maybe. But at the end of the day the two teams that the majority would agree were most deserving met in the big game. It didn’t quite play out as expected and wasn’t as exciting as we’d all hoped, but it was a decent enough contest. For those who might be wondering, and without diving into a detailed breakdown & analysis, I went 16-19 in my bowl picks. When I was on I was dead on, and when I was off I was way way off. I cannot leave college football without one last plea to whomever from the NCAA might happen to be reading. Can we PLEASE eliminate some of these bowl games?? You don’t want to have a playoff?? Fine. But atleast implement one part of my Plan to Save College Football (find it in The Archives). 6-6 teams should not play in the post-season, bowl season should end on New Year’s Day or atleast by the 2nd or 3rd of January, and some of these bowl names are utterly horrendous. I didn’t bother to look at TV ratings, but I don’t imagine anyone but the most die hard of football fans were interested in watching Middle Tennessee play Miami, OH in the GoDaddy.com Bowl on January 6th. The matchup for Super Bowl XLV (that’s 45 for those of you in Mingo County) is set. 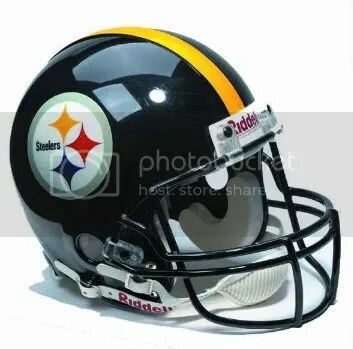 It will be two of the NFL’s most historic franchises battling it out…the Pittsburgh Steelers vs. the Green Bay Packers. Vegas has made the Packers early 2.5 point favorites based on…well, apparently nothing tangible since Pittsburgh has been the better team all season. I cannot be a non-partisan voice of reason due to the fact that the success of the Pittsburgh Steelers is so high on my priority list that it ranks only below my own well being, my faith in God and my Lord & Savior Jesus Christ, and the safety & happiness of my puppy, but I really do find it amusing that so many people are jumping on the Packer bandwagon and overlooking the team that has won 2 out of the past 5 Super Bowls. That disrespect may just be the extra morsel of motivation my Steelers need. Is it just me, or do the Lamar Hunt/George Halas trophies…given to the teams that win the conference championship in the AFC & NFC respectively…look like $20 pieces of aluminum one could buy at a kiosk in the middle of your local shopping mall?? Major League Baseball should take a close gander at this Super Bowl. Pittsburgh and Green Bay are among the smaller markets in the league, but that doesn’t matter. In the NFL all 32 teams begin the season with some slice of hope and enthusiasm because there is no pigskin version of the Yankees or Red Sox ready to buy a championship. It’s quite refreshing and much more entertaining for the fans. Are you paying attention Bud Selig?? Am I nuts, or am I just a disenfranchised Pirates fan? ?